just love your blog. 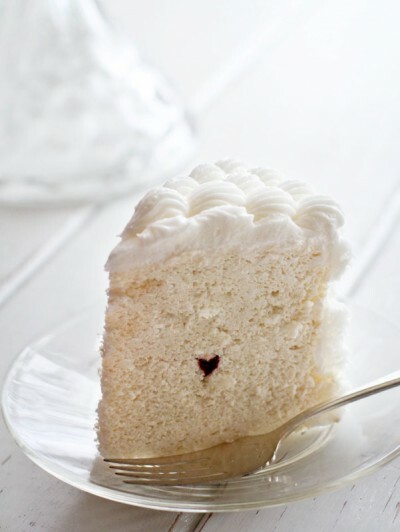 your cakes are amazing and your “heart” beautiful, love the way you share your love for the Lord Jesus! keep shining your light!!!! new to the blogging community!! 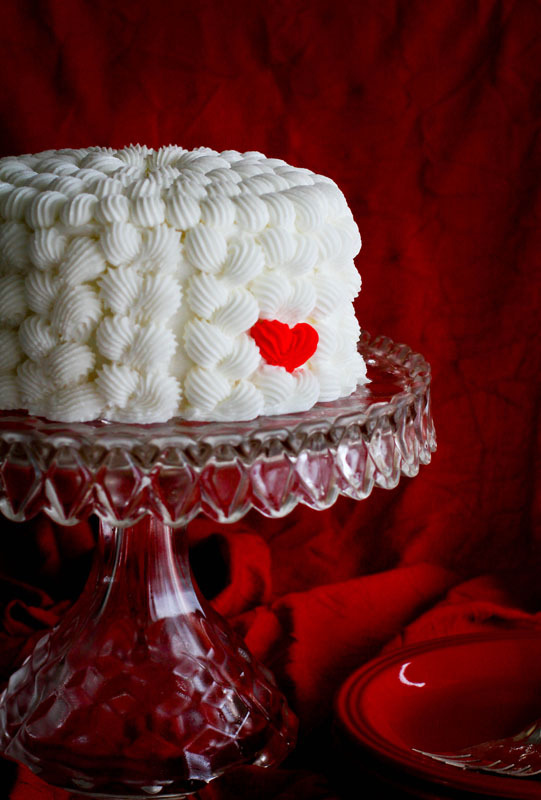 have you posted a tutorial on the raspberry cake with the teeny hearts? just luvvvv that cake! 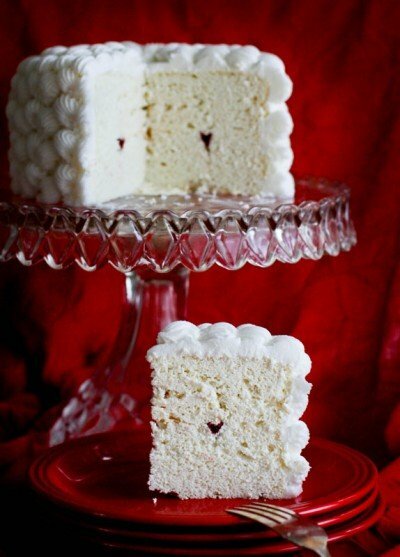 how do you make these teeny hearts in the cake! do tell us plss !!!???? I usually do not post comments. I’m a creeper on your site (who happens to share your birthday) and wanted to take a moment to tell you how much I admire your work! This cake is stunning. I love love the braided effect on the sides and that small understated heart on the inside just makes it all the more. I don’t even have a word that explains how much it made me smile… it just did. It inspired me and I thank you! 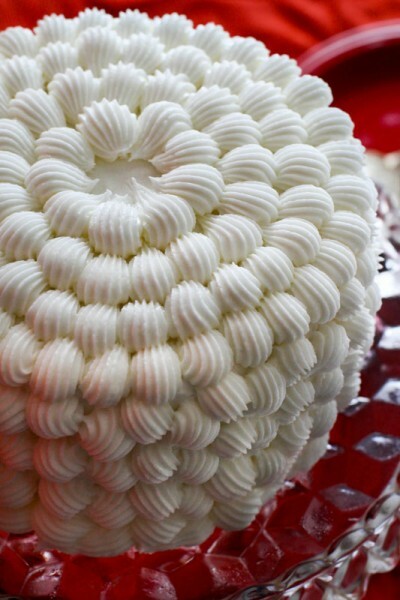 Keep up the great work and I would love to see a tutorial on how this cake was done if you ever feel like sharing. What a wonderfully thoughtful and kind thing to say! You have a way with words. Thanks for making my night! 🙂 Be sure to de-lurk next Feb. 1st so we can celebrate together! I just found your site and am happy to become part of your ever growing family. A belated Happy Birthday and Congratulations on your accomplishment in 2013 ! Have a wonderful year ahead of you and may it be be filled with much happiness and many blessings. I think this cake will be my engagement cake should he ever ask! 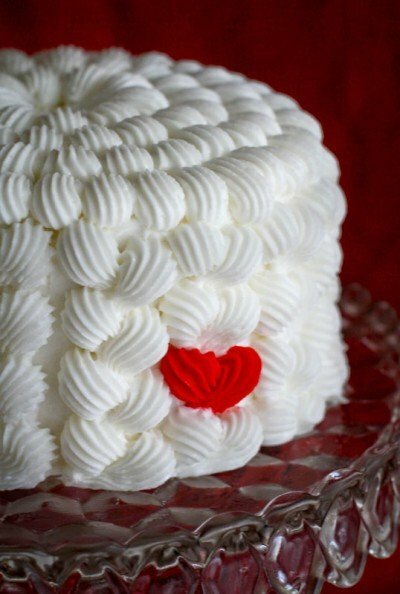 What buttercream recipe did you use? That looks great!